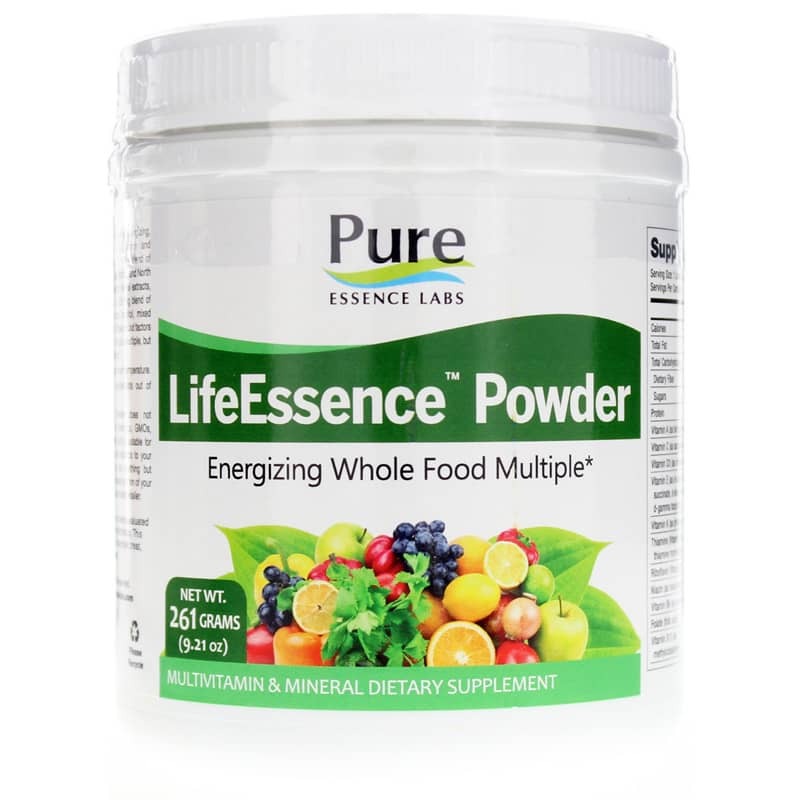 LifeEssence Powder from Pure Essence Labs is an energy packed supplement with vitamins minerals, chlorella, organic oat grass, nutritious herbs, antioxidants, digestive enzymes and more! 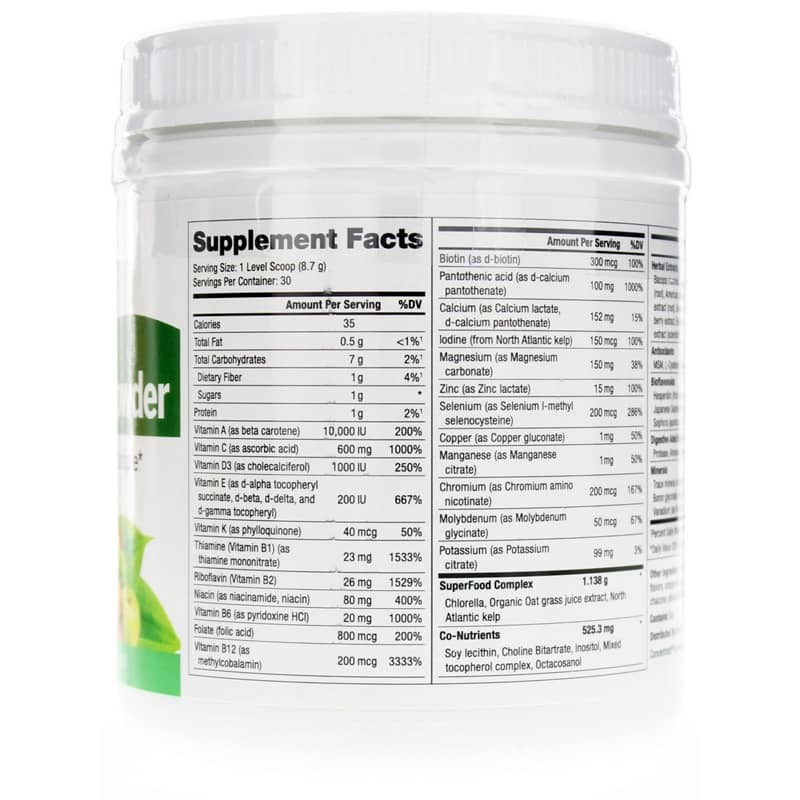 Other Ingredients: citric acid, lime fruit juice powder, lemon fruit juice powder, natural flavors, orange fruit powder, tartaric acid, malic acid, lemon oil, lo han (fruit) extract, chalcone, stevia (leaf) extract. 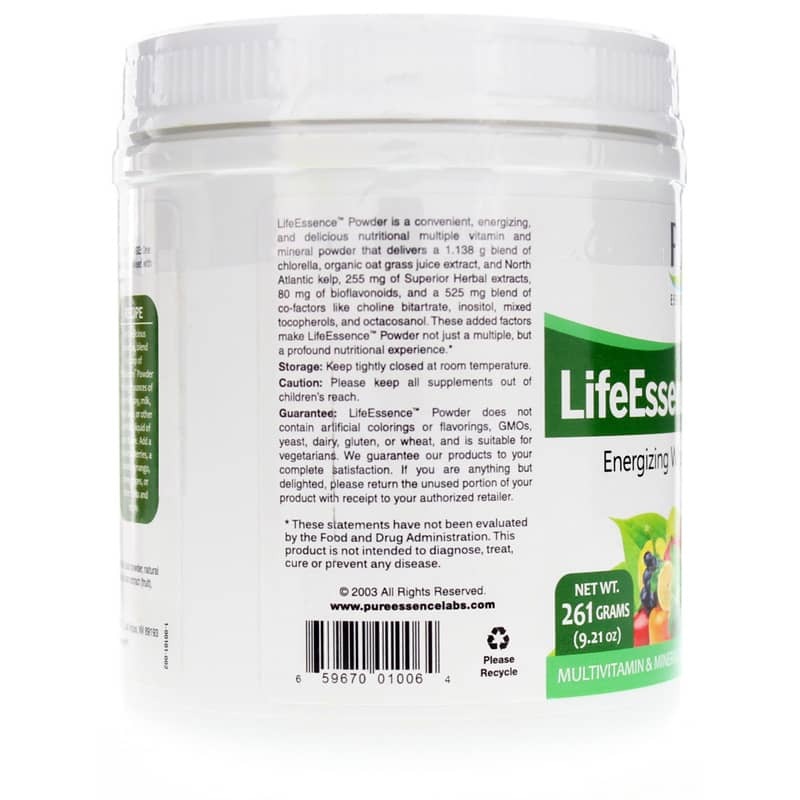 Contains NO: artificial colorings or flavorings, GMOs, yeast, dairy, gluten or wheat. Suitable for vegetarians. 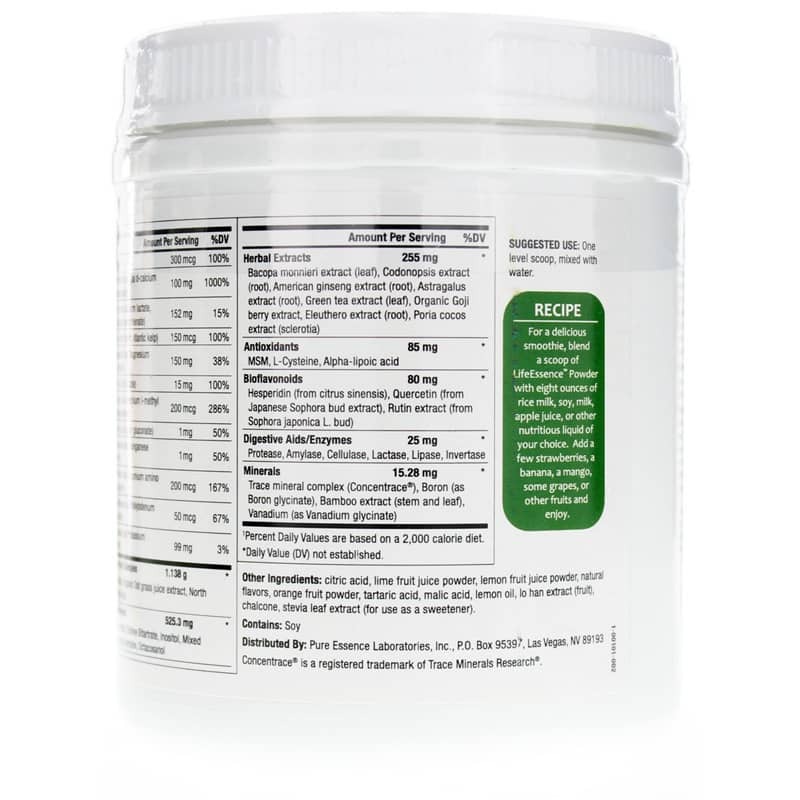 Adults: One level scoop, mixed with water or your favorite nutritional beverage. Fruits may be added if desired.